Entrepreneurs today are constantly looking to give their businesses some advantages in reaching new targets. SEO has been an effective tool for driving traffic to web sites and providing entrepreneurs with the advantage they’re looking for, but taken a step further, local SEO has even more benefits and can generate localized traffic to give businesses a significant presence within their community. SEO has reached the point where every organization recognizes its importance and has developed some sort of strategy to incorporate keywords into their content and onto their site. This has made the battle to be at the top of the rankings even fiercer, forcing entrepreneurs to find alternative means of differentiating their businesses. Here is where local search has its merits. Localizing SEO means narrowing the competition; instead of fighting a national audience for attention, your search is now focused on regional or city-wide targets who are looking for the services you offer. And although the actual field of potential clients will certainly be smaller, the quality of the leads increases simply because of physical proximity. Two things happened this past month that marketers need to pay attention to. First, Google announced that for the first time, mobile search has outpaced search on any other source in the U.S. and nine other countries, including Japan. The second event that needs to be considered is Google’s restructuring of their algorithms to give mobile-friendly sites the upper hand when it comes to search results. What that essentially means is that mobile is now literally the most important factor when considering any campaign related to search. People are on the move and mobile devices are making it so they remain completely plugged in. With a recent study showing the majority of searchers expecting local results (“local” meaning close enough to walk or drive to), and that same majority heading directly to a company’s app or web site as their first stop on their search, one can easily see both the importance and the potential of a strong local SEO campaign to capture these targets. First thing entrepreneurs should know is that creating local SEO doesn’t just have to be online. Get out into the community, attend local events, and get to know what’s going on around your area. Just by increasing your local visibility, you give yourself a better chance of scoring higher on search rankings. Once you start becoming more active locally, you can then begin writing about it. Write about being at these events through press releases, write articles about other news happening within your community, and be sure to include localized keywords. 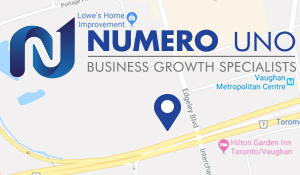 The benefits of local SEO could have a major impact on your business, and working with online marketing experts like Numero Uno Web Solutions, who understands how to apply these strategies to maximize local search results, is a great place to start.